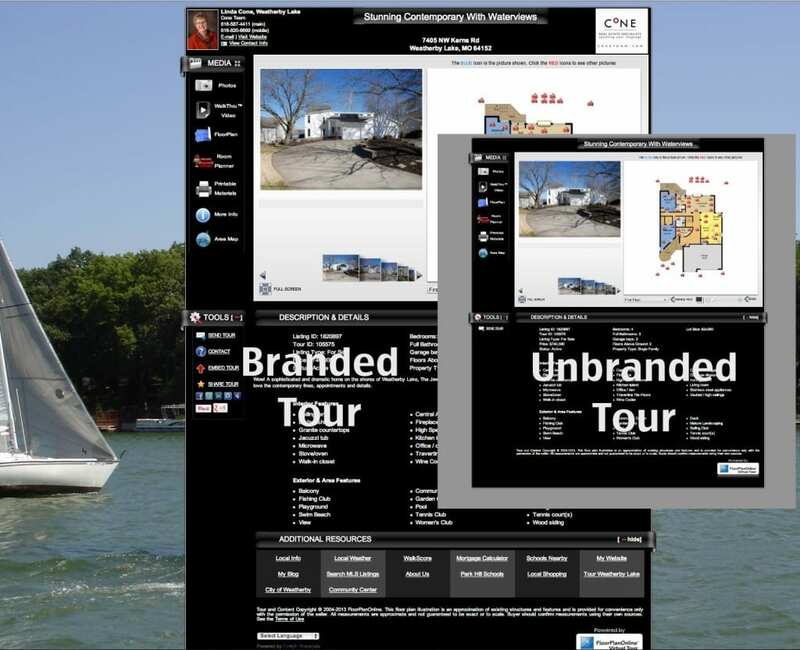 With our BrandKeepr technology, we convert your unbranded tour distributed from your MLS into a branded tour on your website or blog, your company website, and on the major real estate portals (such as Zillow, Trulia, Redfin, and more). Listing distribution is great, but if your name is not on the listing content, does it really matter? Well with BrandKeepr, you can now get the lead from potential interested buyers and leverage the millions of users these other sites get every month. We automatically convert any unbranded tour on selected websites to the branded tour. Supported sites include most SSL secured sites, such as Zillow, Trulia, Realtor.com, Yahoo Real Estate, Redfin and Homes.com. You can add any website under Edit Profile/Edit My Brandkeepr Profile button. By default, no referral information is passed from an SSL secured site to a non-SSL secured site. Therefore, as of November 1, 2018, the FloorPlanOnline tours are now all secure with the SSL protocol! This means we can understand where the viewer of the virtual tour is coming from, and on sites that can show your brand, we show it! This is how breadcrumbs can be left for you to get more leads through the most popular websites. We are so high on this technology we have a patent-pending on it! No other tour company is doing this, and with the patent, we (and our partner providers) would be the only one! This adds huge value to the virtual tour and it is something you are not going to get just by uploading photos to the MLS. Companies. We can help you too. Maybe you have a centralized lead desk. Well, now you can capture leads from Zillow, Trulia or other websites and convert those into paid agent referral leads! Or, maybe you just send the lead back to the listing agent. Either way, we can guarantee you will get more leads with BrandKeepr. Want to learn more? Just contact us below to schedule your personalized introduction to BrandKeepr.